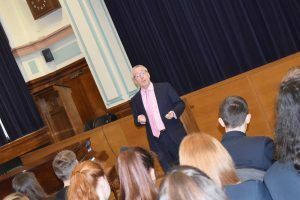 Former Permanent Secretary at the Department of International Trade, Sir Martin Donnelly, visited Cowley International College on March 7 to give an inspirational and motivational talk to students as part of the highly successful Speakers for Schools initiative. Sir Martin Donnelly is a high-profile UK official whose career across central government, starting in the Treasury to Whitehall leadership at Permanent Secretary level, has connected closely with business decision makers in the UK and internationally. 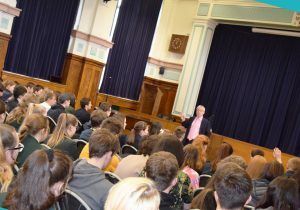 Sir Martin Donnelly delivered an engaging talk to more than 150 Cowley International College, Haydock High and Cowley Sixth Form College students and staff, focussing on topics such as having self-confidence, being prepared and Brexit, as well as offering students an insight into his personal and career highlights. 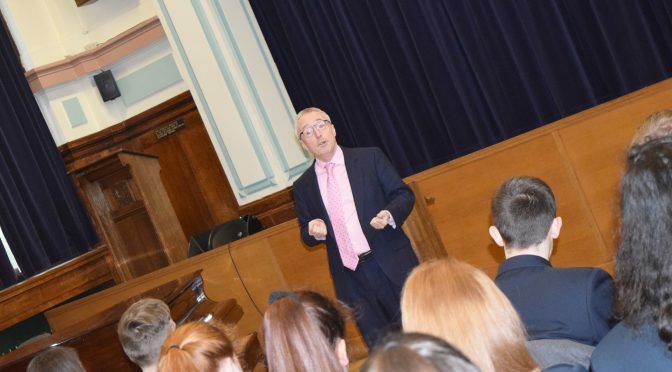 There was much discussion about Sir Martin Donnelly’s views on Brexit, particularly from his viewpoint on trade and employment, given his former positions within the Department for International Trade and the Foreign and Commonwealth Office. Students asked questions about Brexit and what the impact could be on their education and career, as well as what a second referendum could mean. 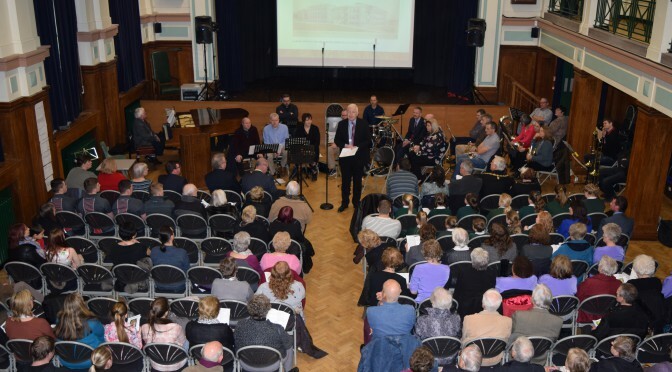 Sir Donnelly answered questions thoroughly and objectively. The Speakers for School initiative was set up by Robert Peston, Political Editor of ITV News, and is dedicated to giving back to schools through free, inspiring talks for students.